How many times have you gotten back from a great trip, had those rolls of film developed, and then discovered that what you thought was a fabulous shot of a grazing moose or the Eiffel Tower by moonlight turned out to be less than spectacular? For all you National Geographic hopefuls, this is the book for you. 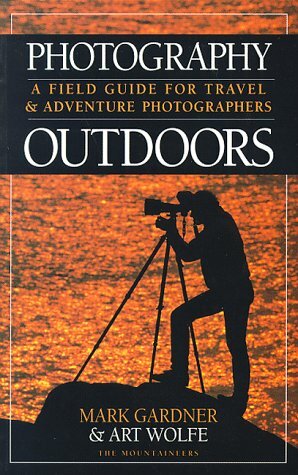 This slim volume packs a world of information between its covers: chapters on composing photographs, the character of light, and how to measure it to determine exposure are followed by ones on camera equipment and how to get the best shots while adventuring and traveling. The book is intended for anyone with a 35 mm camera, from the simplest point-and-shoot variety to the most sophisticated single-lens-reflex model. Best of all, the book is small enough and light enough to take along with you on your travels.